As the leading machine vision trade show in China, VISION China Shanghai 2019 showcased the industry's latest developments from March 20 - 22, 2019. 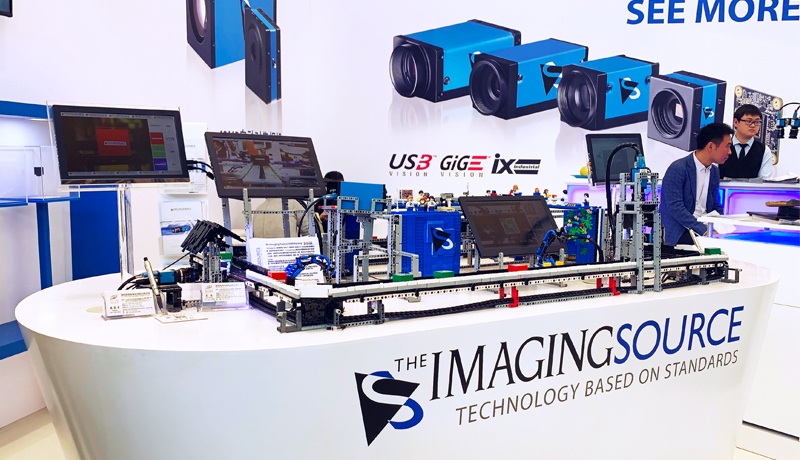 The Imaging Source displayed its newest GigE zoom camera (DFK 39GX265-Z20) with a 1.3 MP global-shutter sensor, 20x optical zoom, autofocus and autoiris with Power over Ethernet (PoE) as well as its newest USB 3.1 (gen. 1) industrial and board cameras featuring Sony's Pregius and STARVIS sensors. In addition to static camera displays, a live toy "factory" created a dynamic scenario highlighting the cameras' performance when used in typical machine vision tasks for automation and quality control such as color identification, barcode scanning, pattern matching, counting etc. 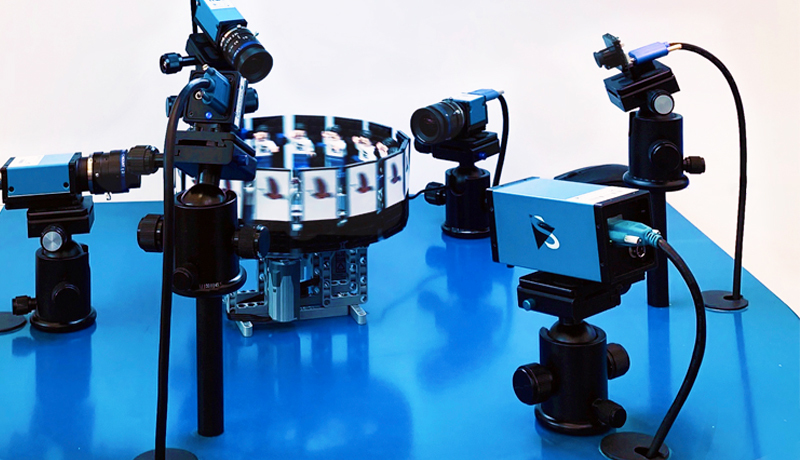 In a separate demonstration, booth visitors could learn more about IC 3D (using DFK 33UX252 cameras), a flexible stereo camera system which can be used with a variety of industrial cameras from The Imaging Source. A zoetrope was also used with six different camera models to highlight differences in frame rates and sensor performance for booth visitors. Many thanks to our distributor ShenZhen Sunvision Technology and the China Society of Image and Graphics (CSIG) for a great show! Post published by TIS Marketing on April 3, 2019.